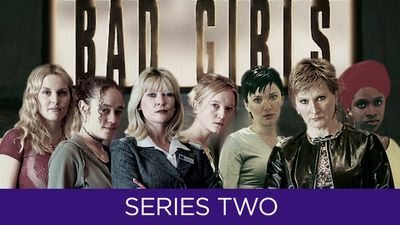 Here's where to watch every episode of Bad Girls season 2. Mouseover or tap an episode to see where to stream it. Click or tap the play icon to stream it on the best available service. Rough Justice Jun 13, 2000 Renee was still causing trouble for the inmates by bullying them. Shaz and Denny lured Sylvia into their cell and then run out and slammed the door, locking her in. She then had to give them her keys to let her out - something that's strictly against the rules! Someone was seen crushing nuts and putting them in the pepper pot. Denny put some mouldy bread into Renee's orange juice. Renee used the spiked pepper and was seen choking and finaly, falling dead to the floor! Helen took the first lifers session. The police interview Shaz about the mouldy bread...she admitted it. After drinking on the job, Fenner left and went home. Renne's tests showed that she had died from an allergy so Shaz was off the hook. Karen demoted Sylvia to a basic officer and docked a months pay as a punishment for the keys incident. Yvonne was seen smirking in her cell - nice one Yvonne! Karen went to see Jim at home and he told her that Marilyn had left him and had taken the kids.